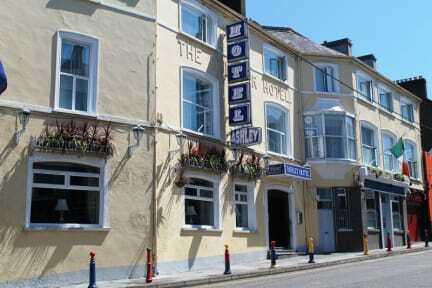 The Ashley Hotel offers a perfect location for exploring the City & County, with lots to do in the area-located one block up from main shopping district, best restaurants & bars, bus & train stations-it’s all within walking distance. 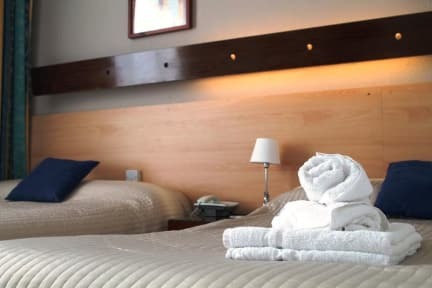 We serve excellent hearty breakfasts & evening meals (additional charges apply), offer complimentary parking on site (subject to availability; hotel's car park operates on first-in, first-served basis), terrace & complimentary Wi-Fi throughout the hotel, 24h front desk service and also a delightful lounge/ bar and restaurant area. Dry Room facility available in the hotel (Golfers, Bikers, Cyclists are all welcome). All of our bedrooms guarantee an accommodating welcome with rich deep piled carpets on the flooring, Irish "Natural Sleep" mattress, secondary glazing to cut out city noise, duvets on the beds dressed in white linen, Egyptian Cotton rich towels, hairdryer in each bedroom, flat screen TV with satellite television & radio channels, complimentary fast WiFi, direct dial telephone, hospitality tray with complimentary tea and coffee provisions, make-up mirror in the bathroom, central heating. Ironing station is available in the hotel for guests own use. Please note free overnight parking on the street is available and also Sunday street parking available free of charge for whole day. Please note there is no lift access in our hotel. The hotel reserves the right to preauthorise credit and debit cards to secure the booking. In the event if your card is not valid your booking may be cancelled. The use of debit cards is at discretion of the hotel. For the customers who wish to use their Irish Visa Debit cards (4319-...), and other debit cards, preauthorisation for 1st night will be submitted at the time of the booking to confirm the reservation. A pre-authorisation on a debit card is a temporary hold by the issuing bank of a specific amount of the available balance on the card that is provided upon booking. The pre-authorisation is not a charge and no funds have been debited from your account. If this transaction is declined, the hotel reserves the right to cancel the booking and refuse future bookings.